Offering you a complete choice of products which include automatic plc operated zipper supari pouch packing machines, zipper two track pouch packing machines and churan zipper pouch packing machine. It's an Automatic PLC Operated Zipper Supari Pouch Packing Machines designed with perfection and rugged construction so as to meet your production requirements exactly both now and in years to come. 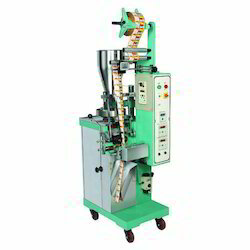 It is a continuous operated vertical form fill seal machine. The zip insertion, sealing & filling is automatic the machine is equipped with PID temperature controller for precise heat control, VFD drive to regulate the speed of the machine with silicon rollers for precise pressure on the zipper tape for perfect sealing. All the contact parts are in S.S. and also the machine is in SS Cladding. 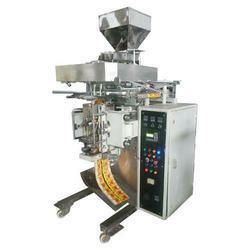 The machine has been designed whereby an even semi-skilled operator can operate the machine with ease. May we request you to kindly depute your representative to our works with prior intimation for a demonstration on unitek machines and witness its performance. Unitek has the installation of zipper machine with leading companies in India. We with a tremendous industry experience are occupied with offering Zipper Pouch Machines that is the answer for our clients pressing prerequisites. This guarantees the freshness is bolted and the nature of the nourishment in it is re-established till it additionally goes to the purchasers. Owing to our sound experience, we have been successful in catering to the requirements of our esteemed clients by offering quality Churan Zipper Pouch Packing Machine. All our products are fabricated employing advanced technology and latest machines following standards & norms of the industry. To cater to the diverse requirements of patrons, we customize the offered range on the basis of the specifications detailed by them.